Decorum is a company that prides itself on the expertise we have to offer. We believe in offering you nothing less than the best and being highly skilled in one trade rather than providing an average service in many. We specialise in decorating, providing the finest standard of workmanship and highest level of personal service to all our clients. We operate in both the domestic and commercial sectors, with a £1,000,000 public liability insurance covering all our work. As part of our high level of customer service, we promise to be as unobtrusive as possible, respecting your property, possessions and privacy. We maintain a tidy and professional looking workspace at all times, thoroughly clearing and vacuuming at the end of every day. Our CheckaTrade page includes feedback from previous jobs, with details of the services we carried out. On the right you can see a few of these feedback comments to give you an idea of what our previous customers thought of the service we provided. Decorum Surrey services all domestic and commercial exterior painting projects, undertaking all work to the highest professional standards. Protecting your property from the elements while giving it an attractive exterior is important, and with the wide range of paints available, both can be achieved. 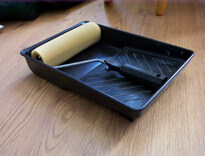 Decorum Surrey specialises in painting and decorating and has over a decade of trade experience. We have a passion for excellence, from the preparation stages through to the finishing coat; we provide nothing less than the finest standard of workmanship. From large-scale commercial requirements to smaller domestic projects, we service jobs of all sizes, all covered by our £1,000,000 public liability insurance. We undertake work on domestic exterior painting projects, commercial exterior painting projects, shop front exterior painting projects, business exterior painting projects, office exterior painting projects and many more besides. With a wide range of colours and finishes to choose from, we work with you to find the most suitable option for your property. Whether your property needs external maintenance or a complete change of colour, we offer you the finest standards of workmanship and finish. For more information about our Exterior Painting services or to receive a free quote, please don’t hesitate to get in touch, all our details can found on our Contact page. Decorum Surrey undertakes all domestic and commercial interior painting and decorating work. We are a specialist painter/decorator company, offering the highest standard of workmanship and finish and the finest levels of customer service. Whether a smaller domestic decorating job or a larger commercial project, no job is too big and none too small, and all our work is covered by our £1,000,000 public liability insurance. 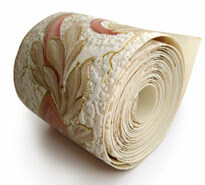 We work with your requirements and tastes to source the best colours, styles and materials for your room. Decorum Surrey understands the impact redecorating a room can have on both enjoyment of your property and property value. Utilising over a decade of trade experience, we find the best solution to bring a fresh lease of life to your domestic or commercial property. We undertake work on all domestic internal painting and decorating, commercial internal painting and decorating, office painting and decorating, business internal painting and decorating, internal shop painting and decorating, and many more besides. At Decorum Surrey we have a passion for excellence and an eye for detail, and we can ensure the finest finish on all work we undertake. From initial preparations to project completion we carry out all work to the highest professional standards, respecting your property, possessions and privacy, always keeping our workspaces clean. For more information on our Internal Painting and Decorating services, please don’t hesitate to get in touch, all our details can found on our Contact page. 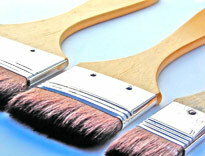 Decorum Surrey is a specialist painter/decorator business with over a decade of trade experience. We undertake all domestic and commercial wallpapering projects, no job is too small and none too big, with al our work covered by our £1,000,000 public liability insurance. Many find the task of wallpapering a messy and daunting task, inevitably ending in bobbles on the walls and mismatched patterns. For something as prominent and noticed as wallpaper, why take the risk of patchy results, and entrust your wallpapering to a professional. We promise to be as unobtrusive as possible, respecting your property, possessions and privacy while providing you with an end result of the highest professional standards. Whether it is a large-scale office-wallpapering project or a smaller domestic job, we are more than able to service all wallpapering needs. We undertake work on all domestic wallpapering, commercial wallpapering, office wallpapering, shop wallpapering, business wallpapering and many more besides. With so many styles and colours to choose from, almost any look is achievable, whatever your requirements or budget. As part of our wallpapering service, we take care of striping back any existing wallpaper or paint work, and also preparing and treating the wall to provide the best surface on which to lay your wallpaper. Our wallpaper services ensure attention to detail and a minimum of waste, giving you an end product you can be totally satisfied with. For more information about our Wallpapering services, please don’t hesitate to get in touch, all our details can be found on our Contact page.